Main Attraction: Located in the Cherokee National Forest of Tennessee, the surrounding area is beautiful to explore. 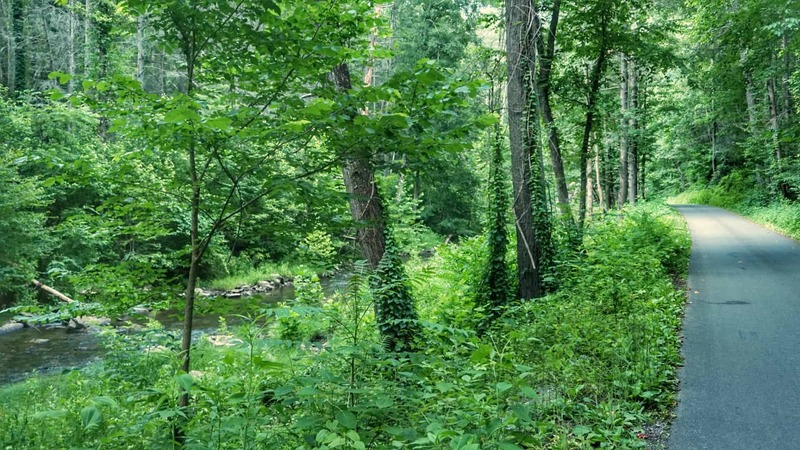 Go hiking or biking, swim in Paint Creek, or fish on the French Broad River. 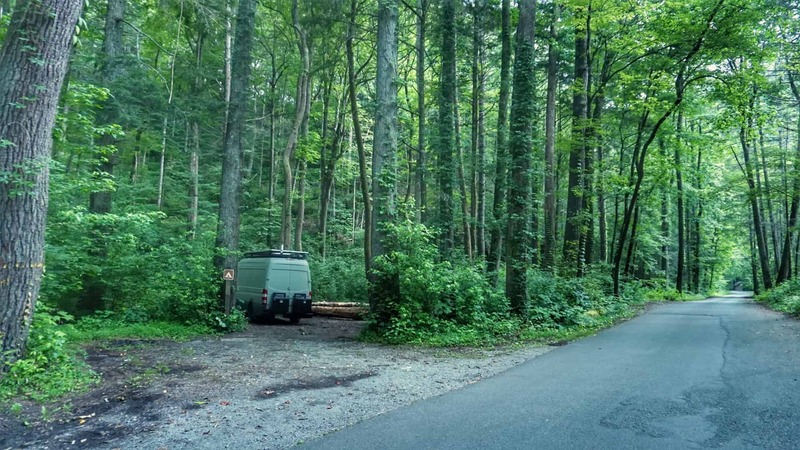 This campsite islocated in the Cherokee National Forest on the border of Tennessee and North Caroline near Greeneville, TN. 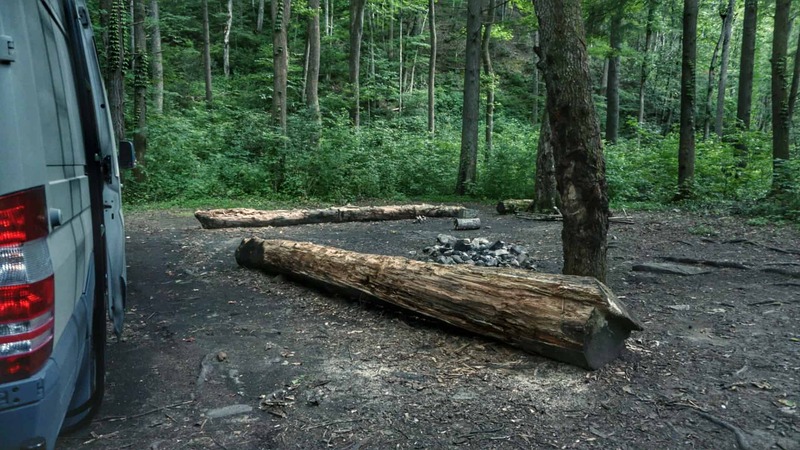 There are plenty of activities around this campsite, and it is located directly on Paint Creek. There are great swimming holes just up the road (one in either direction from the campsite), as well as fishing on the creek. This site is relatively small and would not accommodate a large motorhome. 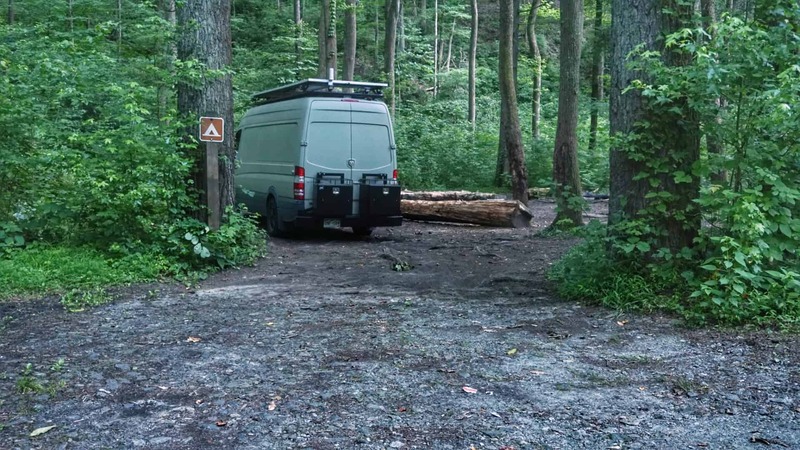 Anything over 30 feet would have trouble navigating the road into the Paint Creek Recreation Area and would certainly not fit in the campsite. 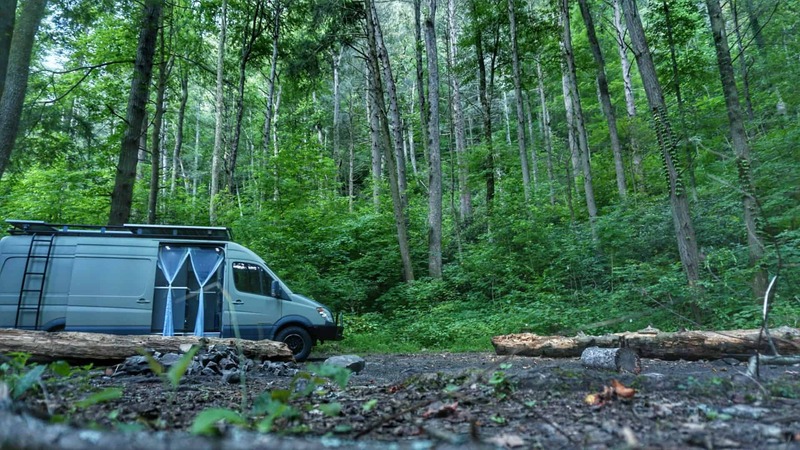 For smaller RVs and campervans, it is a perfect spot to relax and enjoy nature. 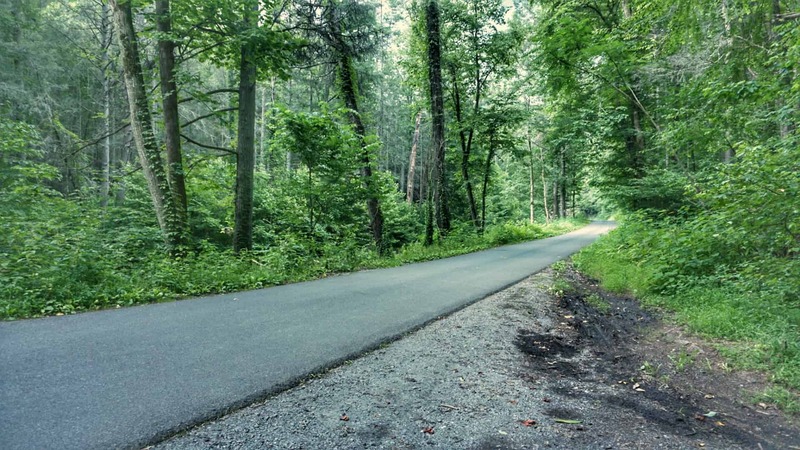 The road into the campsite is a one lane paved road with pullouts for passing. It's a windy road with incredible scenery. The campsite itself is hard packed dirt and tree roots. It rained while we were there and we had no issues with mud. This is definitely a “locals” spot, and I only found it after some expert campsite research. It is popular for camping and swimming. There was quite a bit of trash in the campsite when we arrived, and we filled an entire trash bag full of trash from around the campsite and surrounding area. Luckily, it was mostly recent looking trash left behind and there was no broken glass or anything dangerous. Perhaps the previous campers just failed to clean up after themselves, as it did not appear to have been trashed for long. There was no cell signal in the Cherokee National Forest (AT&T). Our favorite part about this campsite was the swimming hole within walking distance. It made for a great way to cool off after a 90* day in Tennessee! TIP: Bring a pool floatie or body board and slide down the natural rock slide into the swimming hole! 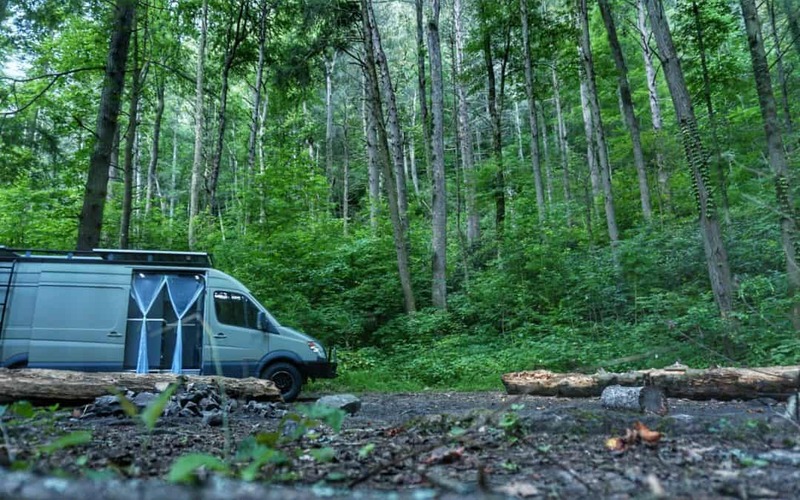 This campsite is about an hour from Great Smoky Mountains National Park, so if you are on your way to or from the park, this would make a great stopover. If you do visit this campsite, let us know what you thought of it!